Benjamin’s angel and his ‘Theses’. IN 1845, CLEARING OUT of Paris, Karl Marx wrote down in diagrammatic form his ‘Theses on Feuerbach‘. Eleven aphoristic entries comprise his thoughts. It is worth noting how at certain pivotal moments, thinkers of acuity write down crucial ideas in the non-discursive form of a list. There is Spinoza’s Tractatus Theologico-Politicus, and the Tractatus Logico-Philosophicus of Wittgenstein which followed and formally alluded to it. There is Nietzsche, who after the first few books tended to write discontinuously. Blake often writes in this mode, notably in ‘The Marriage of Heaven and Hell’. And then we have Benjamin. Ninety-five years after Marx, he too would shortly be needing to clear out of Paris. And at this desperate moment both for Europe and himself, in the fateful year of 1940, the last year of his life, he wrote, from his perilous isolation, the ‘Theses on the Philosophy of History’. Marx’s ‘Theses’, which Benjamin might well have had in mind when he penned his title, formulate what Engels called ‘the brilliant germ of a new world-view’. This world-view insisted that human intelligence was ultimately practical, that is to say that it was concerned with solving problems posed on earth, even if they might seem to implicate heaven, and that this practical and historical intelligence was inseparable from the shaping of the world through human activity, economic, technological, and political. We make and re-make our world; our intelligence is a dimension of this making and re-making. Our thought is the conscious aspect of that praxis which constitutes our unceasing interaction with nature. Our meanings are interactive, not precedent, subliminal or ideal. We have made ourselves into the thinking agencies of our own world-fashioning. Our thought must not be set over against our practical activities, as the spiritual against the material; the two are married, indissoluble, dialectical. Our thinking is the mental dimension of our becoming – physical, political and cultural. Marx’s ‘Theses’, like Benjamin’s, would not be published until long after his death. In Marx’s case they represent the marker for decades of forthcoming activity. In Benjamin’s, tragically, they are more of a hurried self-epitaph, written only months before the writer’s death. Benjamin’s ‘Theses’ are, in effect, a memorandum to himself about the end of the world. BENJAMIN’S ‘THESES’ ARE, in effect, a memorandum to himself about the end of the world. He might well have felt this end was coming. He had once said that in a world of tanks, bombers and poison gas, either humanity would redeem itself through revolution, or destroy itself altogether. Had Hitler managed to acquire the atomic bomb, that destruction would have been entirely possible, and 1945 would be recalled not as a year of liberations but obliterations – assuming there was anyone left to recall it. The Nazi-Soviet Pact had finally cancelled for him any possibility of the political future emerging out of the USSR. So with collusion now official between the land of socialist betrayals, and the murderous amnesiac regime of fascism, the thinker whom Adorno described as set apart from all contemporary currents, hung on to the few things he still believed might be worth hanging on to. One of these was Klee’s painting Angelus Novus, most treasured possession of many years. It seems entirely appropriate that it should ultimately have been bequeathed to Gershom Scholem, who in turn bequeathed it to the Museum of Israel in Jerusalem. We are told that Benjamin in his final days clung on to a black attaché case. What was contained in it? What was the manuscript inside it which he apparently claimed was more valuable than his own life? Case and document both vanished for ever at the time of his death in Port-Bou. Most of the speculations have been that the work was either a finished version of the Arcades Project, or an enlarged version of the ‘Theses on the Philosophy of History’. Now, anyone who has read the Arcades Project must surely see that encoded in its DNA is unfinishability. However long Benjamin might have lived, this work would still have been work in progress as he reached his terminus. But the thought that the ‘Theses’ could have been expanded into essay- or book-form is an enticing one. Like Pascal’s Pensées, the existing scattered thoughts can be read, with little effort, as notes in preparation for a later and much fuller, disquisition. They certainly read as though each one is designed to prompt further thought. And if it had been merely another copy of the version we already know, as Benjamin made his exhausting way across the Franco-Spanish border, then he would hardly have needed an attaché case in which to hold it: he could have carried the few necessary sheets folded in his jacket pocket. That would surely have made walking easier. He knew in any case that there were copies of that version already lodged with Bataille and Gretel Adorno. But perhaps Benjamin’s notes for the end of time had been seriously expanded, and were no longer these mere jottings we have received (many of Benjamin’s letters of the time are considerably longer than the ‘Theses’). We shall now probably never know. The ‘Theses’ are obsessed with what is lost to history, and what might still be redeemed by it. That which is lost to the conscious archive of the present’s sensorium is the unredeemed. The redeemed for Benjamin is the citable. Only for a redeemed humanity would all of history become citable. And the Nazis wanted to lose everything in history that did not immediately confirm their own radical partialities. History was for them primarily the territory of ideological erasure and foregrounding. Wherever Benjamin found an intellectual space he believed worth exploring, he entered it. WE SHOULD REMARK something here, without which this extraordinary reading would not be possible. Wherever Benjamin found an intellectual space he believed worth exploring, he entered it. Such entries did not necessitate for him the evacuation of his previously inhabited space. A mind, like a door, can open into two rooms. If one of them bore the name Metaphysics, and the other Materialism, that did not greatly trouble Benjamin. 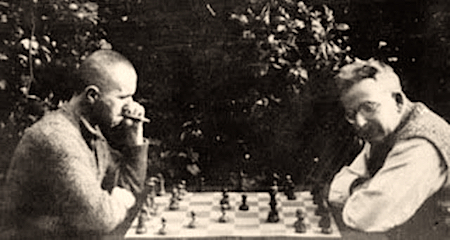 He knew in any case how often metaphysics called upon materialism for assistance; and how frequently materialism hid away the chess-playing homunculus of the ‘Theses’, the invisible metaphysical magister, in order seemingly to win its battles. If others found the two intellectual powers contradictory, or even internecine, that was their problem. Brecht and Scholem were both, to take an analogy from physics, like protons, carrying their own fierce positive charge, and therefore mutually repellent. Benjamin’s metaphysical dialectics made of him a neutron, or even a double neutron; thus was he able to cohabit with these other opposing forces, and contain them both within the nucleus of his thought, without necessarily exploding. He never abandoned the intellectual world of Jewish metaphysics, even as he explored the historical analyses of Marxism. So what, then, the commentators often ask, did he ‘actually believe’? But might they be asking the wrong question? Might they be focused on the object of belief when what is relevant here is its methodology? Benjamin’s ‘believing’ was a hermeneutic process, not a doxology. And here there is a curious parallel with Shakespeare. Shakespeare maintained a creative indeterminacy in regard to the supernatural and the preternatural. He permits himself to be unsure what they are, or even if they are. This dialectical openness permits him to create the most compelling ghosts and agents of darkness of the late Elizabethan and Jacobean stage. They have a unique force and power which is rooted in a questionable reality. They are, as Hamlet understands, questionable shapes. Like Benjamin, Shakespeare had an exploratory mind in which dramatization and representation were inseparable from the process of thinking. Ghosts provided him with a region of uncertainty in which the agonistic struggle between reason and superstition could act itself out in human dynamics and the human psyche. In the form of Hamlet’s father we encounter the seemingly insoluble complexity of a belief long held which had been recently abolished – by royal diktat. The reality or otherwise of Purgatory competes with that other ghost hovering about the play – the university of Wittenberg where the spirit of rationality beckons the Prince to return and complete the act of desolation and mental hygiene which is religious reformation. The world of unreformed superstition can still release forces potent enough to kill him. Both Hamlet and Horatio are pulled back out of Renaissance and Reformation into medievalism. Surely the bright light of rationality could have abolished these shadows once and for all? But then, the Ghost never manifests himself in the hours of daylight. KAFKA’S WRITING CAN be seen in this light as canonic, as both Benjamin and Scholem in their radically different ways came to regard it. 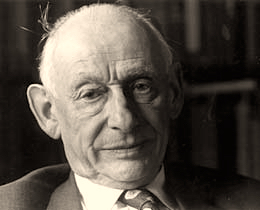 From the perspective of both of these thinkers (but particularly Scholem) the Hebrew scripture had been followed by the Talmud, then came the Zohar, perhaps composed by Moses de Léon in the thirteenth century, which in the form of Lurianic Kabbalah in the Safed of sixteenth-century Palestine was to become the last fully canonic text in the Jewish tradition. Then, according to Benjamin and Scholem, along came Kafka. The inclusion of Kafka here was of course hardly a doctrine of orthodox Judaism, and demonstrates the radical daring of this novel hermeneutics. Scholem, in his essay ‘Walter Benjamin and his Angel’, explains that what primarily fascinated Benjamin was a very Jewish notion of the angel as messenger – the Hebrew word for angel is malakh, which means messenger. Benjamin spoke in his hermetic text ‘Agesilaus Santander’ of the Talmudic legend of the angels created in an instant in order to sing their momentary halleluia before Yahweh, only to disappear again for ever. Benjamin used this notion in his prospectus for his journal Angelus Novus, whose printed life in fact ended with the appearance of that prospectus, as though this particular angel had thereby said, ‘Enough!’, and could now disappear into the black hole which the Lord (or history at least) had prepared for it. If the angel is a messenger, or malakh, then it could be described, from the point of view of materialist science, as a hallucination, or indeed a phantasmagoria, firing into life as configured neurons in the sensorium. All the same it still sings the song of its own expression and extinction – like the salmon leaping waterfall hurdles, in order to spawn and die. Spinoza speculated that angels might be hallucinations; this speculation was one of the heresies for which he was so savagely anathematized, and expelled from his local community. No one at the time paused to consider whether hallucinations might deliver truthful messages. Spinoza had certainly never said they couldn’t. Benjamin believed that truths could be imparted in drug trances; that is why he so frequently induced them. Truth does not have to be ex-cathedratic. So, in Benjamin’s reading of Klee’s angel, what caused the storm from Paradise? Could it have been the fall of the angels? In which case our angel must be one of those driven out by the cyclone of that aboriginal spiritual outrush, which was also the aboriginal calamity; the angelological expulsion. Between him and the Paradise from which he came now stands human history, and its catastrophic progression towards the twentieth century, the black hole of which was about to swallow Walter Benjamin in its mighty dragon’s maw. The mounting tower of cultural wreckage might well be named Babel. And yet, the angel looks more baffled than fallen; his expression is one of incredulity in the face of historic vastation. And what are those scrolls tangled in his hair? What texts are written upon them? Sacred or profane? Or both? There is only one possibility of redemption, and it is has no dependence on a progressivist and meliorist historical myth: that simply leads political movements to their doom. The only tiny entrance-point into this chronicle of a possible redemption, tiny as a nucleus in the atomic confinement of history, is what Benjamin calls Jetztzeit, or now-time. This is the messianic moment, always there, always hovering above and beneath the chronicle, through which the Messiah might enter history, thus converting our chronicle from mere mechanical time, or kronos, to shaped and meaningful time, or kairos. The continuum of history would thus be creatively disrupted. Endless repetition (hell, in one of Benjamin’s definitions) would give way to the genuinely new, which would recapitulate all that had ever been vividly authentic in previous history, by citing it, and thereby remembering and resurrecting whatever had pointed to this moment. There is a curious connection here with Freud, in his most catastrophic mode. Memory traces are in Freud the runes of an unconscious register. The arrival of consciousness over such a runic surface would erase those runes. Benjamin’s continuum of history is equivalent to Freud’s unconscious. The Jetztzeit, the redemptive moment of revolutionary time, the instant of flaring dialectical consciousness, that moment of flashing perception in which the past is truly recuperated, is the emergence of history into consciousness — it erases the continuum, which is a kind of chronological amnesia, in the moment of awaking out of it. The mode of thought and art which stays inside the continuum is called historicism. It acts as though we could return to the past and abolish its future; as though the distance between ourselves and the past could ever be simply erased by intellectual fiat. BENJAMIN DESCRIBES REVOLUTION as a ‘leap into the past’, since only in the past can enough meaning be found for us to map the future. The topography of hope is here a cartography of the preterite. Hence, Benjamin’s use of nostalgia as a redemptive category, or his ability to discover flashes of historic possibility in the world of children’s books, or even the writings of the mad. The memory of Benjamin, the allegorical sensorium he reveals in his writing, is museum-like. Collecting, he said, was practical memory. If there is any intellectual progress in the individual life, then the discredited old adage might be proven true: the ontogenetic does indeed recapitulate the phylogenetic. But it will have to do it backwards, since we know from Karl Kraus that origin is the goal. We grow into the recomposure of our origins, through study and studious remembrance. The older humanity becomes, the further back its reach goes into time, like an arrow fired backwards, with greater and greater velocity, as time’s bow bends further into the future. The memory of Benjamin, the allegorical sensorium he reveals in his writing, is museum-like. Collecting, he said, was practical memory. This museum often has the hallucinatory quality of a Surrealist painting – many of which turn out to be, on close inspection, museum-like too. Benjamin does not place the exhibited items in a taxonomy or chronology – since both of those strategies would merely expound the wretched doctrine of the continuum of history. Instead he engages in radical juxtaposition. Several items find an unexpected life of illumination in relation to one another. The constellation reveals facets of each item which could never have been revealed, had they remained in isolation, the way two vectors multiplied against one another produce a third, predictable by neither in isolation. Benjamin’s ‘mystic gaze’ involved the refusal of a glissade of significations. It involved the refusal, too, of any over-easy fit between signifier and signified; it was in effect a halting of the glib utilities of communication. A liturgical intensification, then, since sacred language is in no hurry to move on. And yet the real illumination Benjamin wants is profane illumination, an epiphany of the street, not one inside the temple. With profane illumination we are in the thoroughfare of the sentence, not in any liturgical parenthesis. Benjamin’s fondness for anagrams, where the syllables and sounds can ‘strut around’, freed from the expectations of custom, exemplify with Surrealist clarity this luminous quality to his readings. Custom, including customary interpretation, can be indistinguishable from the continuum of history, seeing with the eyes instead of through them (as Blake so brilliantly put it). Such semantic disruptions tie up with certain techniques for reading Torah intensively (gematria, for example, which finds numeric qualities in all Hebrew words). The signifier may be liberated from the shackles of its own referentiality, whereupon it will promptly discover a miscellany of further significations to explore. Scholem explains how Benjamin arrived at his anagram ‘Agesilaus Santander’ by playing around (in very serious play) with the notion of the Angelus Satanas, who also appears in the Second Letter to the Corinthians 12:7 as Angelos Satanas, or Lucifer, newly fallen. Benjamin could make brilliant use of images from the New Testament, as when he contemplated what Christ might have felt like, had he accepted the Devil’s offer to command the world after all, but only with diabolic assistance. Even at this late time of extremity, Benjamin continued to write down his dreams, with a graphic vividness which reminds us of two things. First, he had started his intellectual life with a study of the Romantic imagination. For him this provided a visionary critique, a critique of the present, which could draw when it chose upon a luminous account of the past. It was precisely this visionary quality that Benjamin was to encounter once again in Surrealism. The reason dreams can form entire entries in ‘One-Way Street’ – without any derogation to a secondary status in regard to the surrounding entries – is because Surrealism understood that dreams permitted a visionary critique of waking realities. 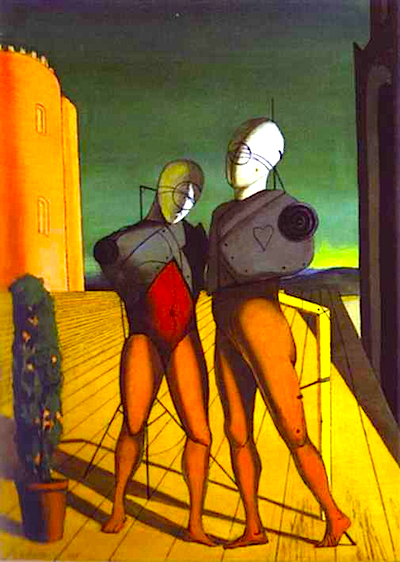 The manikins gazing out on the shadows of history in De Chirico’s paintings have the same quality of oneiric witness that the Abyssinian maid possesses in ‘Kubla Khan’. They have both transcended the discursive frame of daylight rationality, which excludes altogether too much data to be deemed entirely realistic. We spend a third of our lives sleeping, so why should the data generated nocturnally be deemed inessential? And Benjamin was as intent upon discovering what his mind generated in a state of narcotic trance, as he was in registering its movements while reading Baudelaire. AND SO AT THE END we are left only with these theses, a few pages of cryptic and diagrammatic notation – nodal points of response to Benjamin’s dark times, to the possibilities of redemption that his epoch (or any other) might offer. 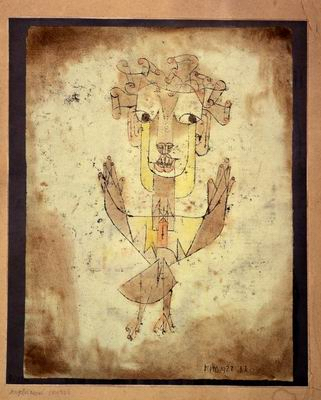 Klee’s limned angel drew Benjamin into its dark vortex, and pressed out of him one of the most famous allegorical readings of the twentieth century. Benjamin understood that the phantasmagoria and the human sensorium are both theatres of perception and mystery, whether made of flesh or wax. Benjamin, unlike so many other Marxists of the 1930s, knew that our world is a manifold of mysteries. Even historical materialism is a delineation of mysteries, not their teleological obliteration. In the first chapter of Capital, Marx meditates on the commodity, which he acknowledges to be an almost unfathomable phenomenon. As uncanny in its way as the navigational abilities of birds and turtles, or the ability of the mush inside a pupa to transmogrify itself to butterfly. Benjamin understood that the phantasmagoria and the human sensorium are both theatres of perception and mystery, whether made of flesh or wax. The leap into the revolutionary would have to be a leap out of Clio’s mechanical continuum into the Jetztzeit, the dynamic time of a ‘now’ so disruptive that it does not permit itself to be translated into the atomised slide-show of progress and historicism. Marx’s ‘Theses’ end with the famously apodeictic pronouncement that philosophers have only interpreted the world when the real point is to change it. Benjamin’s ‘Theses’ end with the possibility of messianic time fracturing the containers of homogeneous time, like the breaking of the vessels in Kabbalah. Creation as we know it can only come to us through such a fracturing (which presumably caused a big bang, and generated a vast amount of background radiation). The catastrophic fracture must be followed by tikkun, the divine process of healing or making whole, which we sometimes call redemption. This corresponds to Benjamin’s historical remembrance and recovery, through which every remnant of fallen and profane history becomes citable. Citability equals redemption, since that which is forgotten is thereby erased. Reading, says Benjamin, is a form of telepathy. There is, then, an occult force at the heart of our intellectual transactions. In Baudelaire, Benjamin discovered that the opposition is not between the new and the old, but between the new and the ever-the-same, the immergleich. This reading was as significant for him as his reading of Klee’s watercolour. And reading, as Scholem points out, is always for Benjamin an occult event. How can that non-sensuous mimesis of script so transfer itself into the mind of the reader as to provoke memory and emotion — or in the case of Benjamin reading Aragon’s Le Paysan de Paris, an increase in the heartbeat sufficient to become alarming? Reading, says Benjamin, is a form of telepathy. There is, then, an occult force at the heart of our intellectual transactions. But then might there still not be an occult force at the heart of our modern science? Many scorned Newton’s deductions at the time of Principia because they were so evidently based on the principle of force at a distance – an occult principle. We have never managed to encounter a single graviton since, and probably never will. This particular boson is a sphinx-like enigma, with a smile large enough to swallow any enquirer. This did not trouble our original systematizing alchemist, any more than the occult principle of telepathy implicated in the act of reading ever troubled Benjamin; it excited him. We have now speculated that most of the universe might be made up of matter we cannot see at all, and that never forms itself into atoms. Nothing could be more occult than that. This is matter so hidden that it is invisible as you look at it; in a state of occultation. Science discovers mysteries. Occultation, after all, is another word for totality, when one world eclipses another, however momentarily. 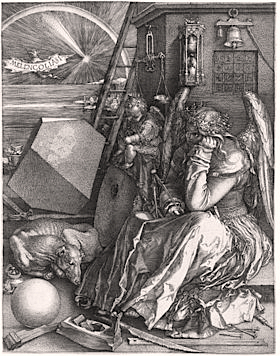 In Dürer’s sombre engraving Melencolia, every contrivance of the human spirit, every tool and technical advance, every measuring device and compassing material, has become part of that mountain of debris piling up at the angel’s feet – that mountain of refuse and detritus we have called progress. Only a wind from Paradise could reconfigure all this lumber so as to lighten such oppressiveness. The angel, having spoken, now disappears, for even its trace in the continuum becomes another prompt to fracture the continuum into consciousness, thereby erasing that particular trace for ever. And the moment of that erasure is the Messianic moment, the revolutionary instant, in which the past expresses itself in the present, resurrecting the lineaments of the redeemer it is in the act of re-constructing from memory. The mush in the pupa will soon be ready to take wing. And the wind is still blowing from Paradise. Publication: Friday, 18 December 2015, at 20:41. ‹ ‘Jane Austen’ and ‘Jane Austen at home’.